CST Automation Ltd abides by the requirements of current data protection legislation. For details of how we use and protect your data, please see the sections below. When you place an order or register on our website, certain information is required, including your name, company name, e-mail address, telephone number, billing address, delivery address, and payment details. CST Automation Ltd works in partnership with Payment Gateway Card Providers to provide high levels of security to ensure that confidential and sensitive information is not compromised. CST Automation Ltd may use the information that you provide for trader, market and product assessment and analysis, and for the prevention and detection of fraud. CST Automation Ltd may disclose certain information to third parties such as couriers, HMRC and others involved in the delivery or legal oversight of the company's services. CST Automation Ltd will do so only where it is essential to complete your order or to comply with legal duties. In such cases, CST Automation Ltd will disclose only the information that is absolutely required (e.g. name and delivery address to couriers). CST Automation Ltd will not otherwise pass on your details to any third parties without your express consent. If you place an order or register on our website, certain information is required to process any transactions, including your name, e-mail address, telephone number, billing address, delivery address, and credit/debit card details. CST Automation Ltd works in partnership with Payment Gateway Card Providers to provide high levels of security to ensure that confidential and sensitive information is not compromised. CST Automation Ltd may use the information you provide to keep track of any bonus points you may earn, for market analysis work (e.g. measuring sales of different products), and for the prevention and detection of fraud. CST Automation Ltd may disclose certain information to third parties such as couriers, HMRC and others involved in the delivery or legal oversight of the company's services. CST Automation Ltd will do so only where it is essential to complete your order or to comply with legal duties. In such cases, CST Automation Ltd will disclose only the information that is absolutely required (e.g. giving your name and delivery address to couriers). CST Automation Ltd will not otherwise pass on your details to any third parties without your express consent. 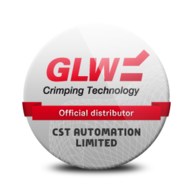 CST Automation Ltd sometimes invites customers to take part in special events such as community meetings, open days, or free demonstration sessions when we are planning the launch of a new product. If you would like to receive such invitations, please use our Contact Preferences web page and tick the appropriate box. If we do not have your clear consent, we cannot invite you to future events. Conversely, if you have previously agreed to receive such invitations but you no longer wish to receive them, the same Contact Preferences form can be used to opt out of future invitations. 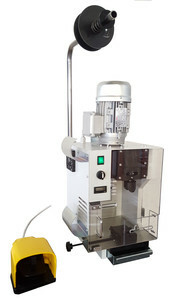 CST Automation Ltd occasionally runs customer competitions with prizes that include cash, in-store vouchers, CST Automation Ltd products and other items. If you would like to receive occasional invitations to take part, please tick the appropriate box on our Contact Preferences web page. If you have previously opted in but now wish to opt out, please contact us or use the Contact Preferences form.